The PrivateEquity.com team is part of the Wilson Holding Company’s Wilson Data division. We own the 270,000 member community of private equity professionals called the Private Equity Investment Group (PEIG) that was started in 2007. Our team has put out 7 books, published two dozen white papers, released 101 podcast episodes, hosted 55 live conferences and spoke 150 times in 17 countries globally on the topics of private equity, capital raising, and family offices. Our 15 person team is registered with the state of Florida and is based in Key Biscayne, Florida. clients including mandates with three billionaire families with a total of $5B of buy-side advisory mandates in place. Richard is also the founder of the Family Office Club, the largest membership-based family office association (FamilyOffices.com) with over 1,500 registered family office members. Richard has spoken at over 150 conferences in 17 countries, has the #1 bestselling book in the family office industry, The Single Family Office: Creating, Operating, and Managing the Investments of a Single Family Office and a recently released book called How to Start a Family Office: Blueprints for Setting Up Your Single Family Office. Richard has his undergraduate degree from Oregon State University, his M.B.A. from the University of Portland, and has studied master’s level psychology through Harvard’s ALM program while previously residing in Boston. Richard currently resides 10 minutes from downtown Miami on the island of Key Biscayne, Florida with his wife and three daughters. Daphny is head of directory solutions at PrivateEquity.com, The Family Office Club and Wilson Data. He will be your main point of contact in exploring how to use our directory solutions to help you in connecting with these firms whether you are raising capital, selling services, or looking for your next employer as Charter Membership Representative for the Family Office Club. His 15-years background in business, training, leadership, management, and development expand multiple arenas. Daphny will likely be your point of contact for any information on databases. Daphny serves as a liaison between Charter members and Family Office Club as well as family office databases. Prior to joining The Miami Family Office, Daphny worked as a consultant and marketing strategist for the Hedge Fund Group and the Private Equity Investment Group. He was the former Director of Finance Training Society and Business Training Institute. Jennifer Velasquez serves as Database Representative at PrivateEquity.com. Jennifer will most likely be one of the contacts for any database related questions, where she works hard to constantly improve the client experience, and maintain our high-quality standards. 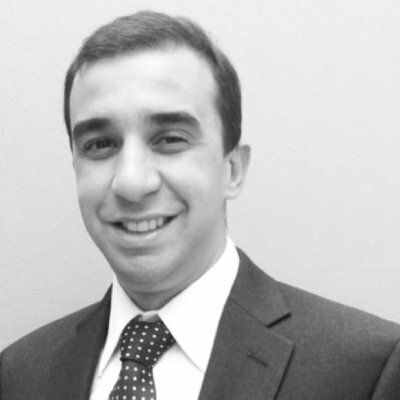 Andres Ospina serves as Database Representative at PrivateEquity.com. Andres will be one of your contacts for any database related questions, where he works hard to constantly improve the client experience, and maintain our high-quality standards. Charles B. Wilson helps develop many of the Family Office Club resources from audio interviews to training materials and video content. Charles produces and edits the training videos, video recordings of team member speeches at conferences, audio interviews and other family office resources. Charles has spent time recently helping us produce new family office training resources and improving the overall experience at the FamilyOfficeDatabases.com website. Rafael Tassini is our 100% dedicated resource who does nothing but help us build higher quality databases every day. 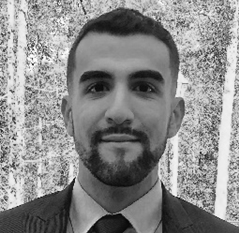 Rafael is trained in advanced Boolean search techniques and capital raising and continues to help our team improve our database products each quarter. Adriana helps our team upkeep our databases and release new versions at least twice a year through your feedback and our research. She assists Rafael’s ongoing database research and has been with our team since the beginning.